We Remember invites visitors to tell their 9/11 stories as part of the permanent collection of the 9/11 Memorial Museum. Visitors to the site enter a sound-proof booth, locate themselves on a world map and record and contribute their stories for use in the introductory exhibition of the permanent museum opening in 2012. 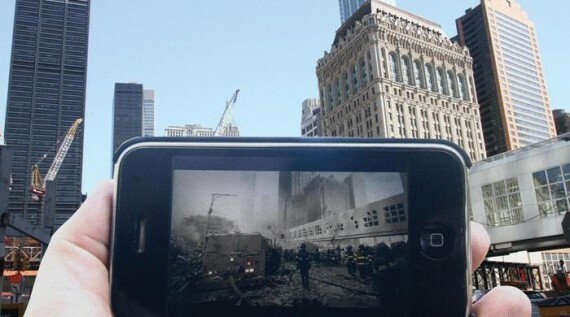 These stories are also used to make the Explore 9/11 iPhone application, a mobile guide that features a seven stop walking tour of the area around the World Trade Center, accompanied by audio and photo narration, as well as an augmented reality mode in which photos from the site overlay the phone’s current camera view. Explore 9/11 collected a rich database of a wide variety of photos that were submitted from people who had been at or near the 9/11 site. These photos reflect a broad range of experiences, and were contributed to the museum by survivors and witnesses through 911history.org. The app also includes an interactive timeline of the events and aftermath of September 11th as well as dynamic links to witness photos. It is our intention that Explore 9/11 will make an impression on people who visit the 9/11 site by allowing them to draw a first hand comparison between what the site looks like now and the way it did at the time of the disaster. The application’s Augmented Reality mode, which overlays photos previously taken at the site on top of the phone’s current camera view, provides a compelling dual view of past and present. As we have just reached the 10 year anniversary of 9/11 and the Memorial Plaza is officially open to the families of the victims of the attack, We Remember and Explore 9/11 are now more pertinent than ever. Both of these platforms allow people to share their stories with others, which result in the creation of a “collective memory” of the event. This collective memory is a strong communicative tool that will evolve and broaden over time as more people share their experiences. In many ways, these platforms provide consolation for those telling their stories and for others with similar stories to find comfort in these commonalities. 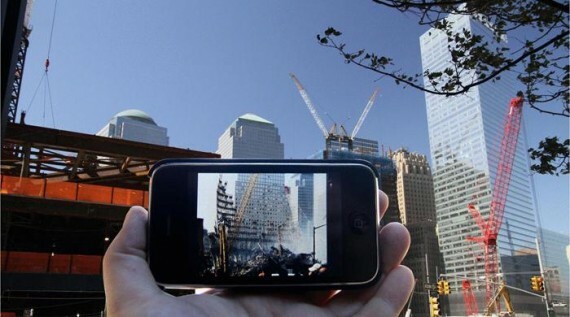 Explore 9/11 and We Remember were both created with usability in mind. Since the events of 9/11 affected all types, ages and nationalities of people, it is important that these platforms are simple enough for everyone to use. These projects are dependent upon and enhanced by the content that people contribute, so the interfaces were made with accessibility, clarity, and ease of use in mind.